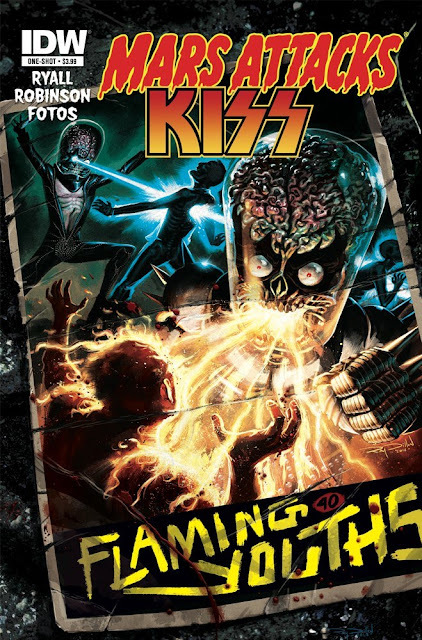 Kiss is goofy fun that can be combined with weird things to a sometimes entertaining outcome. Archie Meets Kiss turned out to be a blast. Kiss vs. Lou Gherig’s Disease, not so fun. So what about Kiss meeting those hyper encephalitic green invaders from Mars?